Revive your skin with the rich, natural nourishment of L’Occitane. Inspired by the Mediterranean lifestyle, each of L’Occitane’s well-loved collections provides textures and fragrances that inspire a sense of well-being and sensorial delight. You’ll experience intensive nourishment and a beautiful, calming experience that bewitches all the senses. 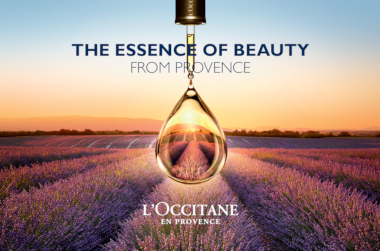 L’Occitane has humble beginnings in the Provence region of France 30 years ago, where founder Olivier Baussan peddled essential oils in local markets. This sales business would blossom into the manufacture of the most beloved oils, lotions, and creams worldwide. Starting with nothing but a small truck and an expansive knowledge of plants, Baussan built L’Occitane from the ground up, developing some of the most well-loved skin treats in the industry to this day. What nourishing ingredients does L’Occitane use? Simply hearing the name ‘L’Occitane’ brings one thing to mind: Shea Butter. L’Occitane’s rich Shea products, from its top-selling Shea Butter Hand Cream to its lush, luxurious Immortelle Precious Cream, flood skin with hydration and soothe irritation. By harnessing the healing, moisturising benefits of Shea Butter, L’Occitane products leave skin comfortable, calm, and nourished. With these two top choices and much more, the brand has you totally covered for long-lasting hydration from head to toe. One of L’Occitane’s most popular ranges, the Almond range epitomises what makes L’Occitane such a uniquely beautiful brand. Created to soothe and deeply hydrate even the driest skins, this sublimely scented line includes L’Occitane’s bestselling Almond Shower Oil. This oil–gel body cleanser infuses skin with the rich, nourishing power of Almond Oil whilst leaving behind a light, sensual Almond scent on the skin. With its soft, silky texture and smoothing, hydrating, and firming benefits for the skin, Almond Shower Oil delivers on L’Occitane’s promise to provide a full sensorial experience with each use. Each of L’Occitane’s beautifully scented and expertly formulated product lines aims to deliver an unforgettable experience by blending top-quality skincare with sublime scents and textures. Shop by category or check out the full product selection to indulge yourself in every facet of the gentle beauty that sprang from Provence all those years ago. For a stunning self-care moment, you can’t go wrong with L’Occitane. This is THE best body oil I have ever tried, I was initially attracted to it because of the smell and I love the entire line (shower oil, body milk and body oil). I love smelling nice but the problem with most body lotions and oils is that they smell nice the first moment you apply them but then the scent is gone. Not with his one. It stays on your skin and I can smell it even after 8 hours of having it on. It's like a luxurious spa product and while I find majority of body oils drying this one moisturizes really well and makes my skin silky smooth and glowy. This is one of the best eye creams I think I’ve ever tried. The texture is very light, somewhere between a heavy balm and a milky cream. It glides on the skin very effortlessly and instantly brightens. I have definitely felt that after using this for two weeks my eye area seems smoother, more lifted and much brighter.